Coffee seeds are generally planted in large beds in shaded nurseries. After sprouting, the seedlings are removed from the seed bed and planted in individual pots in carefully formulated soil. They are watered frequently and shaded from bright sunlight until they are strong and rich enough to be permanently planted. Planting often takes place during the wet season, so that the soil around the young trees remains moist while the roots become firmly established. The coffee tree to make the harvesting easier is often cut out to the height of 2 meters. stripping – choosing optimal time for harvesting when most fruits are ripe and the entire crop is harvested at one time. This can either be done by machine or by hand. In either case, all of the cherries are stripped off of the branch at one time. One person is able to collect 50-100 kg of fruits daily which results in 10-20 kg of coffee beans. picking – more selective, intensive and more expensive method. Several times a year only the ripe cherries are harvested by hand taking into account quality of beans. Pickers rotate among the trees every 8 – 10 days, choosing only the cherries which are at the peak of their ripeness. It is used mainly to harvest the finer arabica beans. In most coffee-growing countries, there is one major harvest a year; however in countries like Colombia, where there are two flowerings per year, so there is a main and a secondary crop. A good picker can harvest 45 to 90kg of coffee cherry per day, which will produce 9 to 18kf of coffee beans. At the end of a day of picking, each worker’s harvest is carefully weighed and each picker is paid on the merit of his or her work. The day’s harvest is then combined and transported to the processing plant. This is the oldest method of processing coffee and it’s still used in many countries e.g. in India where water resources are limited. The freshly picked cherries are simply spread out on huge mats to dry in the sun for several weeks for each batch of coffee. In order to prevent the cherries from spoiling, they are raked and turned throughout the day, then covered at night or when it rains, to prevent them from getting wet. It is important to maintain a suitable humidity through the whole process. Too dry seeds will burst while squeezing and too wet will spoil the whole harvest and lead to rotting. So, when the moisture content of the cherries drops to 11 percent, the dried cherries are moved to warehouses where they are kept. In this method coffee loses its aroma, and sweet combinations go from the pulp to the bean. As a result we receive a product which in comparison to the wet method has milder, less aromatic flavour. In countries where rainfalls are more frequent and there are no possibilities to dry in the sun, wet method processing is often used. The pulp is removed from the coffee cherry after the harvest and the bean is dried with only the parchment skin left on it. First, within 12-24 hours the freshly harvested cherries are passed through a pulping machine which separates the skin and pulp from the bean. The pulp is washed away with water, usually to be dried and used as mulch. The beans are separated by weight as they are conveyed through water channels. The lighter beans float to the top, while the heavier, ripe beans sink to the bottom. Next they are passed through a series of rotating drums which separate them by size. After separation, the beans are transported to a large, water-filled fermentation tanks. Depending on a combination of factors — such as the condition of the beans, the climate and the altitude — they will remain in these tanks for 12 to 48 hour to remove the slick layer of mucilage (called the parenchyma or aril ). While soaking in the tanks, naturally occurring enzymes will dissolve this layer. After completing the fermentation process beans are rough in touch. Finally they are rinsed going through additional water channels. Clean beans are ready for drying. If the wet method has been used, the pulped and fermented beans have to be dried to reach roughly 11 percent moisture to properly prepare them for storage. These beans, still encased inside the parchment envelope (the endocarp), can be sun dried by spreading them on drying tables, mats or floors, where they are turned regularly, or they can be machine dried in large tumblers. After drying, they are stored in sisal or jute bags until they are ready for export. 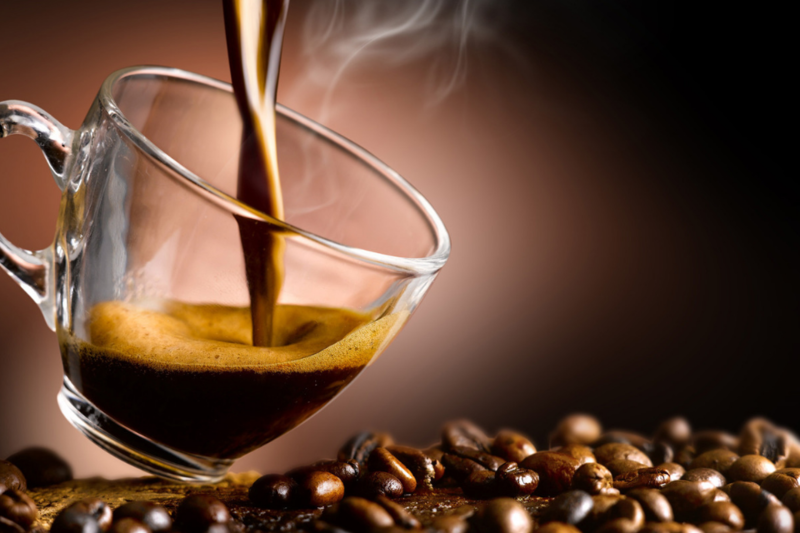 Applied mostly to high quality varieties of Arabica. In general, wet treatment is applied to cherries picked manually, dry treatment to cherries picked other ways. Wet method enriches flavour and alleviates bitterness. Special hulling machines remove the parchment layer (endocarp) from wet processed coffee. Hulling dry processed coffee refers to removing the entire dried husk — the exocarp, mesocarp and endocarp — of the dried cherries. Before exporting, the coffee beans are precisely sorted by size and weight. They also need to be closely evaluated for color flaws or other imperfections. Typically, the bean size is classified according to a scale of 10 to 20. The number represents the size of a round hole’s diameter in terms of 1/64’s of an inch. A number 10 bean would be the approximate size of a hole in a diameter of 10/64 of an inch and a number 15 bean, 15/64 of an inch. The coffee can also be sorted pneumatically by using an air jet to take apart heavier beans from lighter. Next stage is removal of defective beans. This process can be accomplished by a specially designed machines. However, in many countries, it is done by hand while the beans move along a conveyor belt. Beans of unsatisfactory size, color, or for any other reason unacceptable e.g. over-fermented beans, with inspect damage or unhulled, are taken out. In order to provide only the finest quality coffee beans for export, in many countries, this process is done both by machine and hand. The milled beans, now referred to as ‘green coffee,’ are ready to be loaded onto the ships for transport to the importing country. 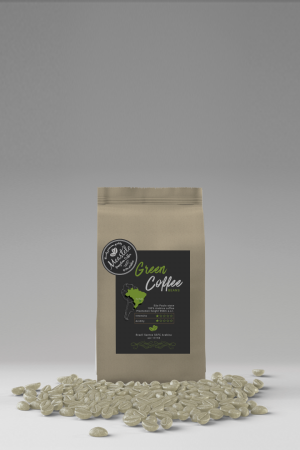 Green coffee is shipped in either jute or sisal bags which are loaded into shipping containers, or it is bulk shipped inside plastic-lined containers. Approximately seven million tons of green coffee is produced worldwide each year. At every stage of its production, coffee is repeatedly tested in order to check quality and taste. This process is referred to as ‘cupping’ and usually takes place in a room specifically designed to facilitate the process. Firstly, the taster, so-called cupper, carefully evaluates the beans for their overall visual quality. 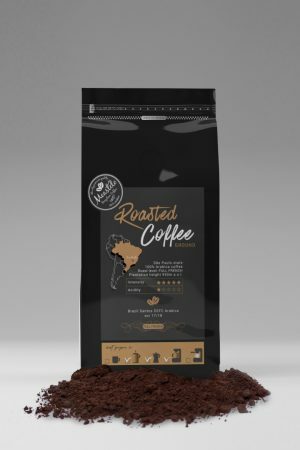 The beans are then roasted in a small laboratory roaster, immediately ground and infused in boiling water, the temperature of which is carefully controlled. The cupper “noses” the brew to experience its aroma, an integral step in the evaluation of the coffee’s quality. After that coffee rests for several minutes and then the cupper “breaks the crust” by pushing aside the grounds at the top of the cup. Again the coffee is nosed before the tasting begins. To taste the coffee, the cupper “slurps” a spoonful with a quick inhalation. The objective is to spray the coffee evenly over the cupper’s taste buds, and then “weigh” it before spitting it out. Samples from a variety of batches and different beans are tasted daily. Coffees are analyzed this way both for their inherent characteristics and flaws as well as for the purpose of blending different beans or determining the proper roast. An expert cupper has ability of tasting hundreds of samples of coffee a day and still being able to find the subtle differences between them. This process produces the flavour and aroma of the coffee. Moreover, thanks to roasting coffee gets a suitable crunchiness and colour. Roasting transforms green coffee into the aromatic brown beans that we know, either whole or already grounded according to our preferences. Most roasting machines maintain a temperature of about 288 degrees Celsius. The beans are kept moving throughout the entire process to keep them from burning. 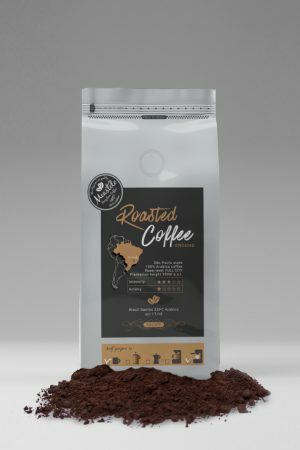 When they reach an internal temperature of about 204 degrees, they begin to turn brown and the coffee oil, also known as “coffee essence”, locked inside the beans begins to emerge.